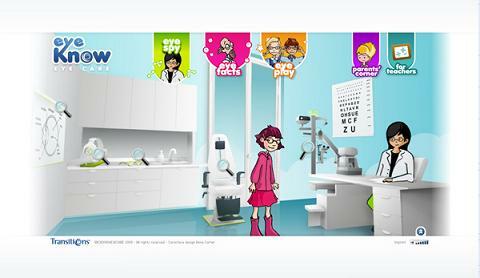 Eyecare Trust Patron Transitions Optical, a leading provider of variable tint lenses for spectacles, has launched a new dedicated website aimed at 7-11 year olds to promote eye health. The website is a fun and interactive resource for parents and kids alike to learn about the eyes, eye health and the importance of regular eye examinations. It's great fun... Try it!